The 2000s are no more. Our top 50 of the decade has been finalised – let the retrospective investigation of the period begin. 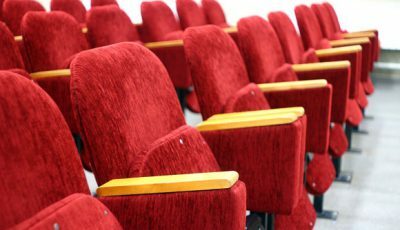 What did cinema in the 2000s leave us? What were the trends? How did cinema progress? What directors established themselves? What directors committed career suicide? What are your lasting memories of cinema in the 2000s? When it comes to genre the rather indefinable comedy-drama wins out. What is comedy-drama or as it is sometimes known ‘Dramedy’. It isn’t straight-forward comedy or drama – it’s funny and uplifting but downbeat and dark in equal measure. Like Hithcock said – “Drama is life with the dull bits cut out”. 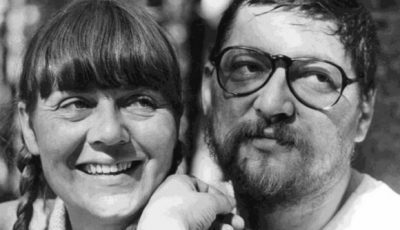 Comedy-Drama, I think, is life with the funny bits left in. More an indication of my viewing habits throughout the decade than anything else. I have seen many non-English language films (several from mainland Europe, and many from east Asia) but must see more. 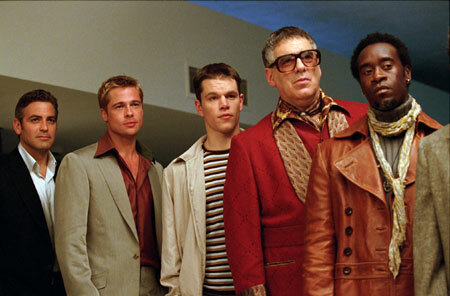 “Ocean’s Eleven” – nothing comes close to the entire casino heist sequence. “Sideways” – deciding to fake an accident Miles unwillingly allows Jack to put a brick on the accelerator peddle of his car in order to crash it into a tree. Unfortunately, as the driverless car sets off, the steering wheel inadvertently turns sending the car past the tree, through a fence, and into a ditch. 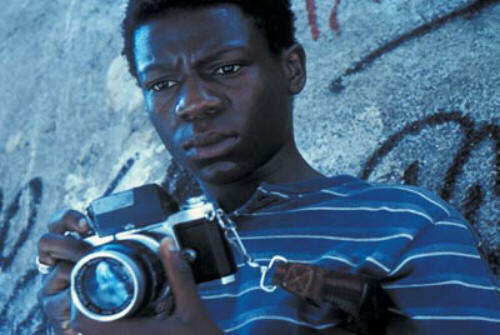 “City of God” – so many to choose from but the one that remains so memorable is the sequence depicting the children being forced to be shot in the hand or foot. And then the consequences which follow. 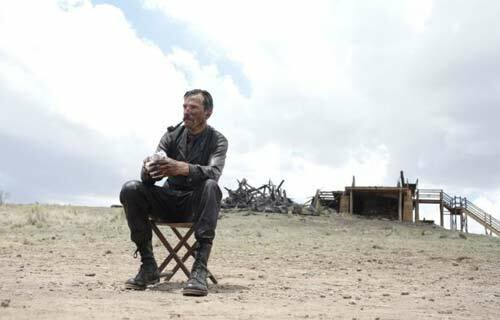 1st Place – “There Will Be Blood” (Nothing really compares to this graceful, beautiful, wordless opening sequence that sees the beginnings of one man’s lifelong obsession to purge nature to fill his own pockets. Anderson’s glorious panoramic views and Jonny Greenwood’s haunting score add to the almost surreal yet riveting first few minutes. Notes of a Film Fanatic: Mulholland Dr. 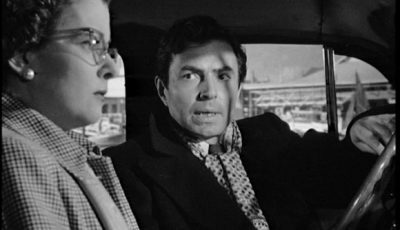 If you would like me to link to your top films of the decade list (whether it is a top 10/20/50/100 or whatever) please drop me an email. Click the ABOUT link at the top of page for email address. Gotta agree with There Will Be Blood’s opening being number one! One of my favorite parts of that film. The rest of that list is great as well, though I don’t particularly remember the opening to Unbreakable. Will have to watch that one again. I would flip Heath and Daniel Day-Lewis in the acting list myself. To me that Daniel Day-Lewis performance will stand the test of time as one of the best ever. Heath’s will too, but in a lesser sense I think. Here’s hoping that Nolan’s Inception kicks off the new decade with a bang. I’ve been avoiding everything so that it’s all new when I see it. Man, I am falling head-over-heels in love with your site today. 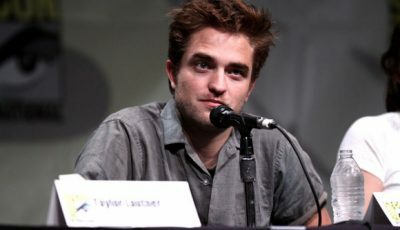 – Totally agree about Nolan, he’s the best working director out there right now. What’d you think of Insomnia? – Love the Best Character list, but I think I’m the only person out there who thought Wikus was a complete dickhead. – Love love LOVE that you threw Sam Riley into the Best Actor mix. Dude is a dead ringer if there ever was one. 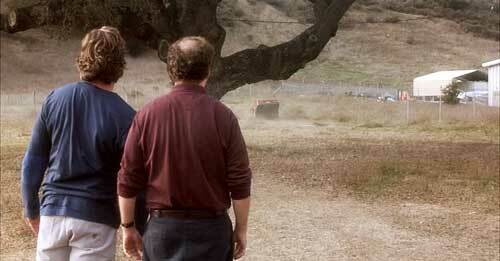 – Really hard to argue with that scene from Sideways as the most memorable of the decade. Phenomenally written. 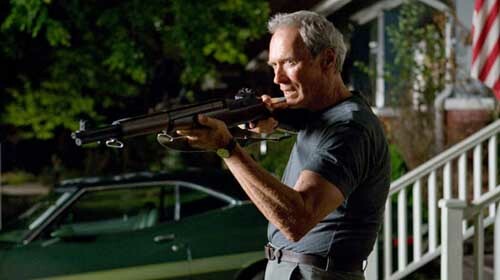 – Would give best ending to Memento, but who am I to knock Gran Torino, Clint is a god amongst men. @Will It was tough deciding the order between Ledger and Day-Lewis – the two stand out performances of the decade for me. I went with Ledger as you see but on another day it could have been Day-Lewis. I think, for me, Ledger stood out because I had never seen him deliver such an accomplished, powerful and unique performance. I’ve seen Day-Lewis constantly give great performances – he always adds to every film he’s in, and, like Depp, fully immerses himself in the role. But Ledger, who has given good but not outstanding turns in 10 Things I Hate About You, A Knight’s Tale, and The Brothers Grimm for example, really showed there was a lot more to him. I suppose that’s the bittersweet nature of his Joker character. That he passed away so young shouldn’t really come into the decision of whether he or Day-Lewis delivered the best performance of the 2000s, but it does creep in there. @Aiden Cheers Aiden, I’m going to save that quote! I can’t say I’m particularly fond of Insomnia. It isn’t a bad film and it’s better than most, but Nolan is at his best when he’s working with his own material. I think I’m right in thinking Insomnia is the only film to date that Christopher Nolan has made from someone else’s screenplay. Sam Riley is great in Control isn’t he. 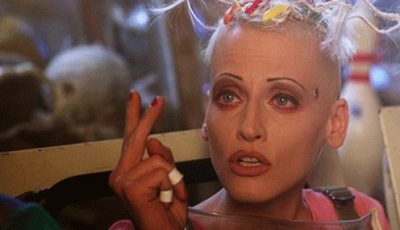 Have you seen Sean Harris as Ian Curtis in 24 Hour Party People? That’s another good attempt at bringing the late singer to the screen. It’s been a while since I last saw 24 hour party people, but Harris didn’t seem to stick out the same way Curtis did. Just another reason to go revisit that kickass movie. Thought provoking list, I’d probably disagree with 90% but I like seeing what your thoughts are. What an excellent breakdown. @Encore It’s symptomatic of the period that no female performances/characters stood out for me. 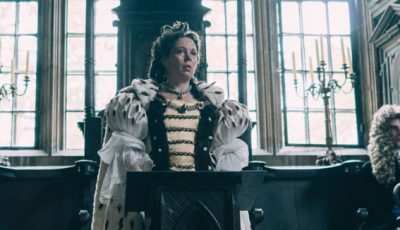 I just don’t think there are enough good roles for women out there. That’s not to say there haven’t been some significant performances during the 2000s, but there’s just not enough room above to feature them. I think Imelda Staunton has stood head and shoulders above every other woman during the 2000s but she’s had to take roles like the one in Three and Out that pass by the wayside. Just so that I don’t lose all credibility with my female readers, Virginia Madsen does feature prominently in my most memorable scene. Dan you’ve inspired me to do a similar list (all in due time, 2 months of no school ahead). Even though I pretended that those 33 posts I did way back recapping the decade were all I planned on, I don’t think I can resist. @Encore – Excellent, I look forward to reading it, Andrew. I don’t think there can be too many articles/lists/ etc., about the 2000s. 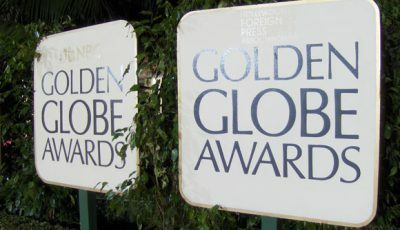 After all, for many of us in our early to middle twenties, it is the first full decade in film we’ve been able to fully appreciate from the perspective of living throgh it. I have great memories of the 1990s but I was a kid the entire time. Can’t disagree with most of your picks although we can definitely see your love for Sideways once again 😉 Great post. Also thanks for the links Dan. Retweeted! They shall be coming directly (yes, as in more than one), and you’re right about recapping 00s. It is my first real movie decade. For the most part, I agree with your list of best endings…although I think Memento would be #1 on my list. And I’m probably going to catch some flack for this, but I think the ending of No Country for Old Men is one of the decade’s best as well. Most people hated it, but I thought it was the perfect ending for that film, as well as one of the most unique endings I’ve ever seen. Thanks for the comment Corey. “Memento” ran a close race with the rest but for me it was “Gran Torino” that stood out. But you’re right that Nolan knows how to end his movies perfectly. I actually liked The Prestige’s ending just that little bit more than “Memento”. Awesome post, Dan! 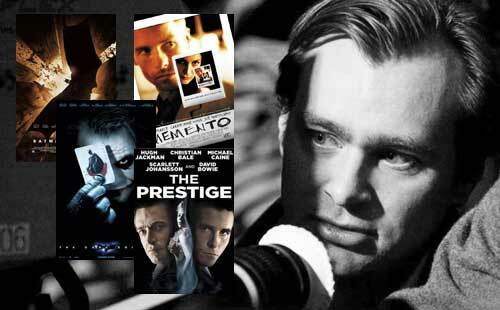 Totally agree with you about Nolan, he’s probably the only contemporary director whose work hasn’t disappointed me. I just listed my ranking of his Top Five Films, but my list might change after I see Inception. I quite like Insomnia actually. I love how you include Wikus as Best Character! I dedicated a whole post on Sharlto Copley on my blog (which IMDb featured also) because I was blown away by his performance. I agree with Bale in AP also, though the movie was hard to watch for me… won’t see that one a second time! I like the ‘First 10 Minutes’ Category, and I agree with D-9 and Unbreakable. I love the first 10 minutes of Gladiator, but that was in 1995. Lastly, I’ve been curious about the movie Control. Even more so now that you include Sam Riley here. @rtm: I think we’re going to see big things from Copley. I watched Inglorious Basterds for the second time last night and a part of me thinks I should have included Hans Landa in the top 5 characters. On Encore Entertainment’s comment vis-a-vis lack of females, I think Nicole Kidman deserves something of a mention for Dogville. Despite being from Oz I’m not a big fan of her work (as accomplished as it might at times be), nor generally of other Aussie actors in Hollywood films. It is annoying, for example, that Cate Blanchett and Judy Davis had to be southerners in Benjamen Button and Naked Lunch respectively (is that the only international accent Aussie thespians can do conviningly? ), just as there was a strange lack of depth in the characters of Guy Pearce in LA Confidential and Hugh Jackman in Swordfish. 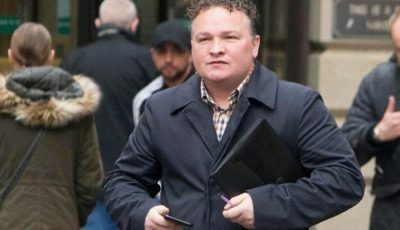 As for Russ Crowe, I don’t know if I would have thrown Oscars(R) at him – and he is great in Body of Lies … but let’s face it – like Peter Jackson, he is a Kiwi. Having said that, Kidman is fantastic in the Von Trier film – possibly because her peculiarly Australian aloofness is, in fact, one of her strengths.